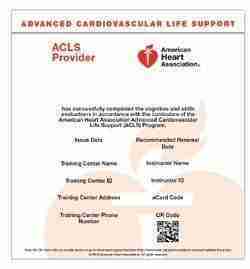 The American Heart Association ACLS Provider Course was developed as a means of training healthcare providers who may be required to resuscitate adults. It focuses on recognition and initial care of unstable adult patients, and it also provides training in the management of adults who have already suffered arrest. Designed for healthcare providers who either direct or participate in the management of cardiopulmonary arrest or other cardiovascular emergencies. Through didactic instruction and active participation in simulated cases, students will enhance their skills in the diagnosis and treatment of cardiopulmonary arrest, acute arrhythmia, stroke, and acute coronary syndromes (ACS). Each participant is expected to have reviewed the information in the 2015 ACLS Course Provider Manual prior to the course. 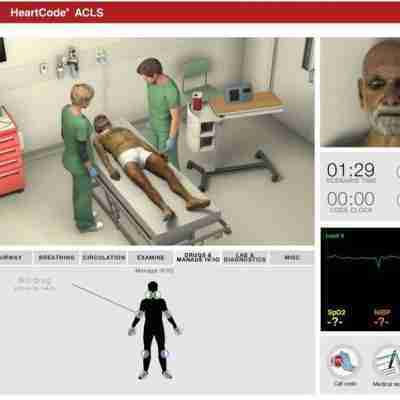 It is MANDATORY that you complete the Pre-Course Self-Assessment on the AHA Student Website (enter code: acls15) and identify any gaps in your knowledge, and remediate those gaps by studying the applicable content in the ACLS Provider Manual or other supplementary resources. 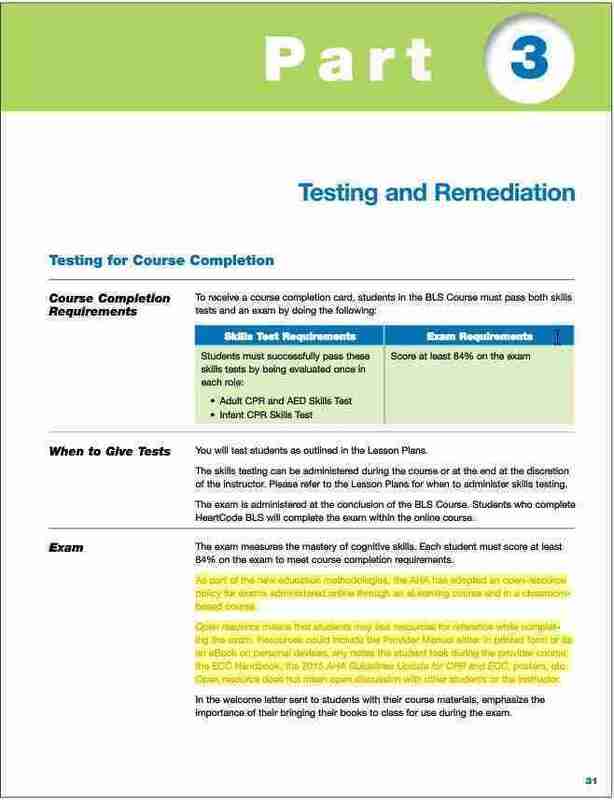 NOTE: You MUST bring a printed copy of the completed Pre-Course Self-Assessment for admittance to the course. Participants who attend the course must have the basic knowledge and skills to participate actively with the instructor and other students. In most cases, no time will be spent on rhythm interpretation skills and/or pharmacology during the course. This information should be reviewed prior to attending the course. ACLS participants are strongly encouraged to have a current Basic Life Support card, or at least true proficiency in BLS when attending our 1-day Provider/Renewal course, though this is not required to attend the class. Participants will be required to demonstrate proficiency in BLS CPR skills repeatedly during the course. The American Heart Association is now using “eCards”. These will be issued in all future courses. For more information, please visit our eCard page. Our 1-day Provider/Renewal ACLS course is for the first time or renewal attendee who has experience in caring for the cardiac arrest adult patient. Less time is spent in the practice settings and more emphasis is placed on pre-course knowledge and experience. Everyone is welcome to attend the 1-day Provider/Renewal ACLS Course but they are expected to come prepared, especially if this is their first time. American Heart Association® Program Administration Manual guidelines: Who can attend the 1-day Provider/Renewal Course? Due to changes in the application process recently implemented by the Texas Nurses Association and the American Nurses Credentialing Center, Continuing Education Credit is not available at this time. We apologize for any inconvenience this may cause. (8) Successful completion of the initial course in advanced cardiac life-support, pediatric advanced life-support, the neonatal advanced life-support course, basic trauma life-support, or pre-hospital trauma life-support shall be credited on the basis of 12 clock hours. Recertification courses shall be credited for the number of hours actually completed during the recertification course, but shall not count for more than 12 hours. A.C.T.N.T. Healthcare Services offers the American Heart Association® ACLS Provider Course all over Texas, including the Dallas Metroplex including Dallas, Fort Worth, Arlington, Plano, Irving, Denton, and Richardson, Texas.